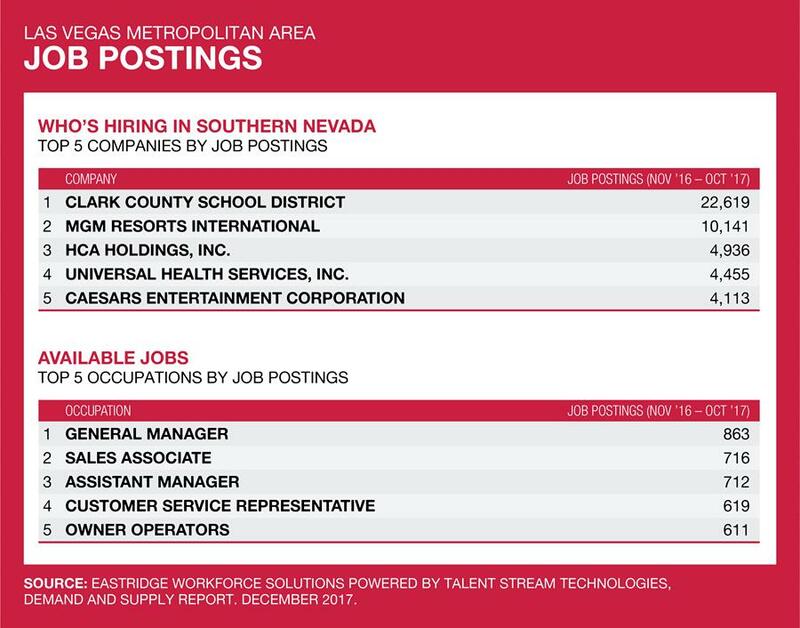 The latest employment estimates in Southern Nevada suggest the economy is expanding and remains one of the fastest growing communities in the country. 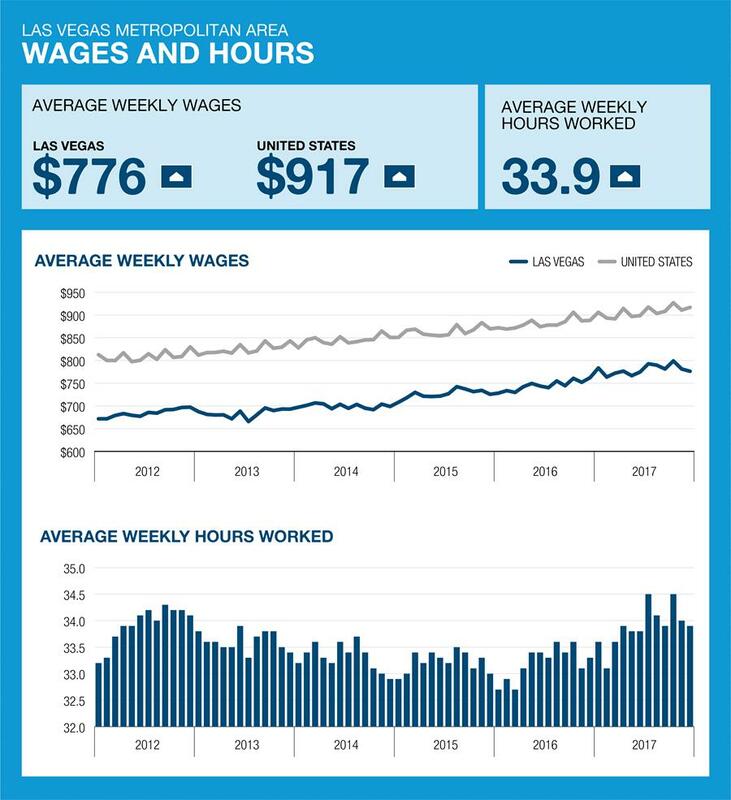 By the end of 2017, total employment in the Las Vegas metropolitan area reached a record high of 998,800 employees, which represented an increase of 3.1 percent when compared to the prior year. A wide range of industries contributed to the overall job increase of 29,900 since last year. Construction continues to be a key contributor, adding 10,800 new positions during the past year, reflecting an impressive growth rate of 18.3 percent. Additionally, the government sector added 5,500 jobs, reflecting a growth rate of 5.4 percent. Other notable areas of expansion included professional and business services (+3.9 percent), education and health services (+4.6 percent), financial activities (+2.9 percent) and other service sectors (+2.5 percent). The latest job growth contributed to a declining unemployment rate. 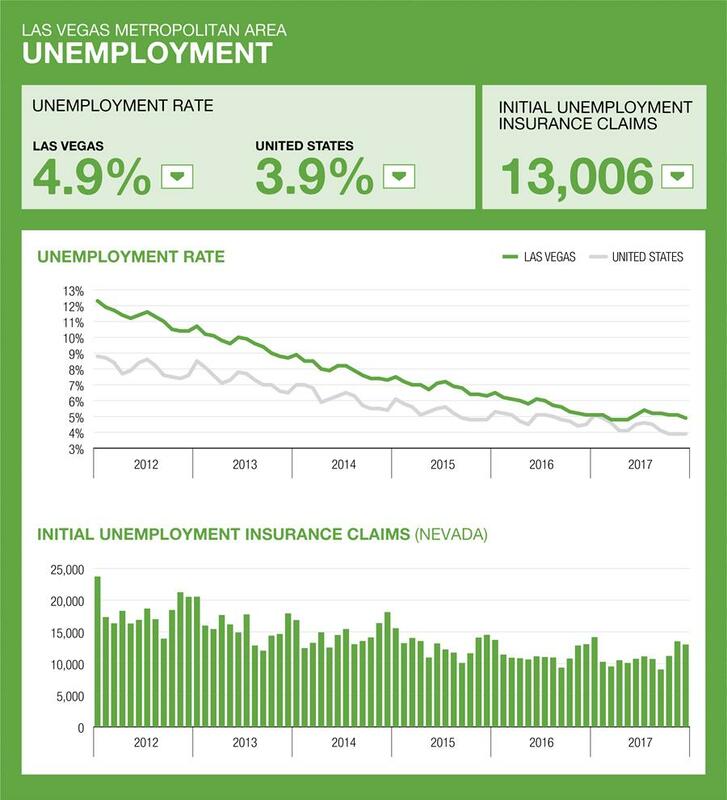 By December 2017, the unemployment rate for Las Vegas MSA dropped to 4.9 percent. A tighter labor market is also contributing to rising wages and increased productivity. Average weekly wages in the private sector rose 1.8 percent in December when compared to the prior year. Moreover, the average weekly hours worked also increased 1.8 percent, edging up to 33.9 hours. The overall job market is well positioned and reflects its strongest performance in a decade. We will continue to monitor the economy’s performance going forward, but continued improvement is expected to persist through 2018.